Optometry is the practice or profession of testing the eyes for defects of vision in order to prescribe corrective glasses. The job profile of an optometrist includes the recognition of ocular and visual signs of eye diseases, the understanding of the wide range of problems afflicting the eye and also the reference of patients to appropriate specialists. Optometry provides an intellectually stimulating career with a humanitarian role in today's society. Eye-care is a dynamic area within the world of health care that provides wide spectrum of challenging and incredibly rewarding, career opportunities. 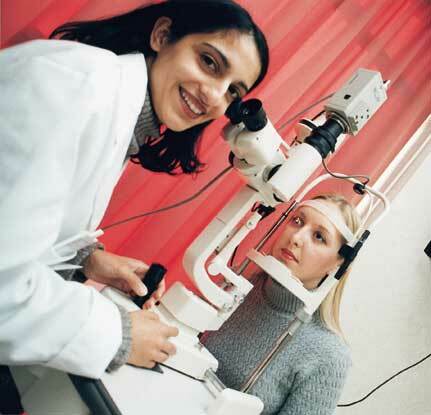 As an Optometrist, one can take up jobs in hospitals or clinics where one will be assisting an Ophthalmologist. One can practice at independent optical establishments or can also set up an independent practice of one's own. A 4 year B.Sc.(Hons.) in Optometry and Ophthalmic Techniques is offered by IGNOU.